Leadership. We know it when we see it, but more importantly, we are adrift when it is missing. That’s why the Leadership Institute at Purdue Northwest, formerly known as the South Shore Leadership Center, is committed to developing, mentoring and motivating people across Northwest Indiana to become stronger and more insightful leaders. We strive to explore and develop the skills needed to transform an emerging leader into an effective community contributor who can motivate, influence and lead. Research shows that most leaders are not born with a genetic predisposition to excellence in leadership but rather are built by life lessons and experience. Therefore, we focus on finding innovative ways to develop leaders who can have a positive impact on our communities across Northwest Indiana. With the resources of Purdue University Northwest in our corner, we at the Leadership Institute aim to nurture skills in local citizens—both adults and high school youth—from diverse backgrounds so they can have a positive impact on communities across the Region. While some of the elements of leadership—character, integrity, empathy and the desire to be a lifelong learner—might be instilled in us as children, they can be further developed and nurtured so we are more effective leaders as adults. With two campuses and students from Northwest Indiana, the country and from around the globe, Purdue University Northwest is committed to helping build stronger communities—and the PNW collaboration with the Leadership Institute is just one example. By affiliating with the Leadership Institute, the university is illustrating its commitment to strong community connections and the diverse communities across Northwest Indiana. In doing so, the Leadership Institute at PNW joins the stakeholders of the Northwest Indiana Forum’s “Ignite the Region” plan to help stimulate job growth, retain exceptional talent, and foster a culture of connectivity and innovation. Leaders in our communities who can communicate a shared vision for our Region are essential to keeping Northwest Indiana vibrant. By investing in leadership development, we are joining other stakeholders in community building, which will, over time, result in a stronger economy, an ecosystem that encourages business development and healthier, more connected communities. “Leadership Northwest Indiana” is a program designed to strengthen our Region. We keep it local. By learning about the practice of leadership from local business and community leaders, we see examples of people, just like us, who have risen to the challenge and are practicing positive leadership within their own spheres of influence. Remarkable local leaders sharing their experiences and their stories can serve to help us learn; we can use these examples as a great source of inspiration. Our emerging youth leaders participate in the hands-on “SLYCE” program where we explore the skills needed to be an ethical, transformational leader who can influence our future. Then our high school students roll up their sleeves and put these skills to work in a hands-on service project. Their energy and passions are inspirational. Work with intention to create an environment of respect in your workplace so others feel comfortable sharing their ideas. People work best when they can contribute and know that their ideas are valued. Words make a difference—how you say them and the words you choose to use. Evocative language can motivate, coach, convince and influence. Words can create perceptions—and change them. Use them wisely. 3. Be a keen observer. By carefully observing and studying others, you will likely see what works well—and what doesn’t. These are great life lessons. If you are inspired by someone’s leadership, model your own leadership style as a reflection of that inspiration. Whether the goal is to be a more inspiring leader within your family, within your faith community, in your workplace or within your civic community, developing positive leadership skills benefits us all. Developing leaders is what we do at the Leadership Institute at Purdue Northwest, and we welcome you to join us. 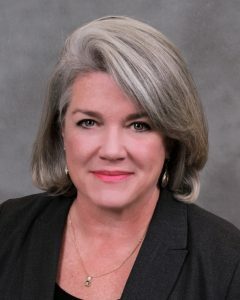 Sheila Brillson Matias is executive director of the Leadership Institute at Purdue University Northwest and executive director of the Society of Innovators at PNW.